Hospitals can be dangerous places for the elderly, according to a recent article in Kaiser Health News. Even if they recover from the illness or injury that required them to be admitted, many elderly patients deteriorate mentally and/or physically during their stay. The article states that one-third of patients over 70 and more than half of patients over 85 leave the hospital more disabled than when they arrived. Many are unable to care for themselves after discharge and need help with daily activities such as bathing, dressing or even walking—requiring them to need skilled nursing care in nursing homes instead of going home. Hospitals often fail to provide seniors with proper food, get them out of bed enough or control their pain. Movements are restricted by oxygen tanks and IV poles. Doctors subject them to unnecessary procedures and prescribe redundant or potentially harmful medications. They are deprived of sleep by being in noisy wards or having vital signs checked at all hours of the night. Doctors and hospital staff may focus so much on treating injuries or acute illnesses that they overlook nearly all others aspects of their care. All can cause lasting damage to an elderly patient. Additionally, hospitals face few consequences if elderly patients become more impaired or less functional during their stays. The federal government penalizes hospitals when patients fall, get preventable infections or return to the hospital within 30 days of being discharged. But hospitals aren’t held accountable if patients lose mental capacity or their ability to walk. Fortunately, some hospitals are starting to recognize that elderly patients need special care. A growing number are making changes to better serve an aging community by treating the elderly in separate medical units called Acute Care for Elders (ACEs). Many elderly patients arrive at emergency rooms. Traditional ERs are busy, noisy and disorienting for seniors who are often unaccompanied and in pain, and overworked doctors tend to admit elderly patients too frequently. In a quieter ACE ER, the emphasis is more on addressing the immediate problem, determining the patient’s ability for self-care (or availability of a caregiver) and ability to walk, evaluating medications and, if possible, sending the elderly patient home. Elderly patients who are admitted to a hospital’s ACE will find a quieter environment, fewer sleep interruptions, and an emphasis on getting them back home and living as independently as possible. Patients are encouraged to walk several times a day (often with volunteers), dress themselves and eat sitting at a table. Medications are evaluated and patients are educated about those deemed necessary. 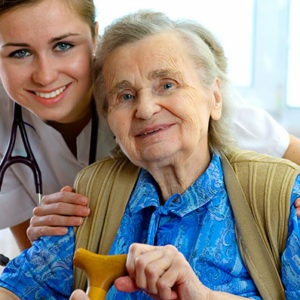 At-home caregiver services may also arranged. ACEs are being credited with shortening patients’ hospital stays, reducing their likelihood of returning too soon after discharge and making it less likely they will be sent to a nursing home. Hospitals are even starting to view them as marketing tools to reach the growing elderly population. Please call the Law Office of Kathleen Flammia at 407-478-8700 or please visit our website at flammialaw.com for more information.